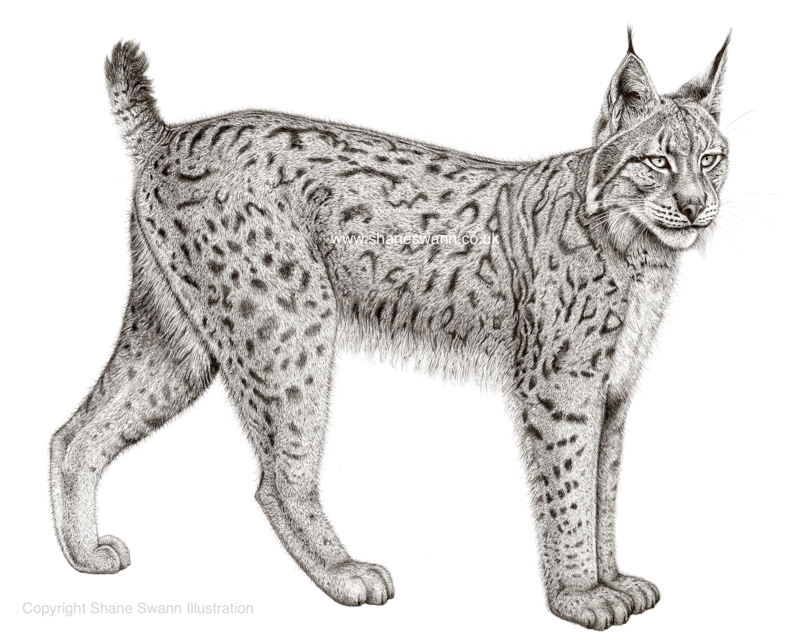 Blog post of the Last Lynx. This drawing is in tribute to the British lynx that became extinct in the UK due to over hunting and the destruction of most of its natural habitat. This is now 4 tribute/awareness drawings in my UK extinction series (grey wolf, brown bear and the large copper butterfly) in which I am aiming to create a collection of wildlife drawings of species that we have lost in the UK due to human activity. 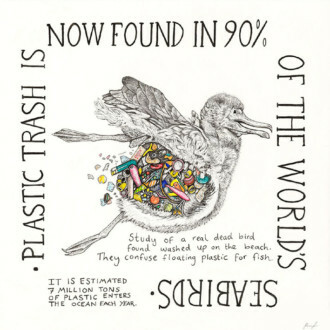 Hopefully it will help us appreciate what will still have and make people more aware of the effect we have on the environment at home as well as abroad. There are many more that can be done in this series, as in the last 200 years alone 413 species have been lost in the UK, mainly down to human activity. In planning my lynx drawing, I wanted it to have the same kind of presence as the bear. The bear I had deliberately drawn on a large scale to try to reflect the impressiveness of the creature in reality, and also as a means to compete with the bright, large oil paintings etc, that would over shadow my previous much smaller work at exhibitions. 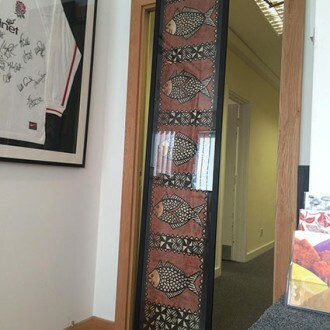 I also was excited about the challenge of trying to produce something so intensely detailed on a large scale. I believe in doing this I achieved what I hoped it would do. Instead of people walking straight passed my work to the next large painting on the wall, they would be attracted to my bear because it stood out. Therefore I needed to keep this going. 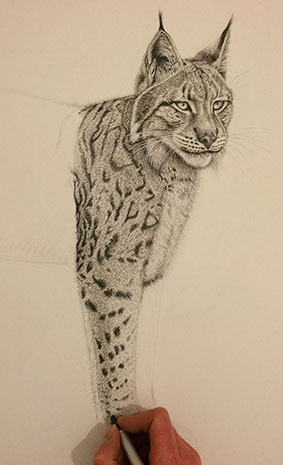 In fact, I drew the lynx even larger than the bear, currently in its frame it is 91 x 85 cm. I was planning to draw the lynx in the same stylised manner as the bear, however I had recently discovered a pen that was even finer than the pen I had used for the bear (0.03 nib). It allowed me to be able to draw individual hairs as fine as fluff, opposed to the fur on the bear which was drawn quite corse. Therefore instead of drawing the lynx stylised, I tried to draw it realistically. The eurasian lynx still exists in some northern and eastern European countries. In fact it is currently being debated whether or not to reintroduce the lynx back into Britain to help balance the ecosystem, since most of the predators have been wiped out over the last few hundred years or so (Lynx Reintroduction UK). I used an array of photos of the eurasian lynx as a source, merging them together in my mind to create an original composition. This was rather difficult, as certain elements of the body I had to completely make up, because when merging a group of photos together into one image, there are gaps that don’t match up, which you need to just imagine how they would work or look. I think this was the greatest challenge I came across. I began drawing only with the 0.03 pen, but soon realised, to create real depth I also needed to use other tools. Therefore even though probably 95% of the illustration is done with said pen, I also used the 0.05 pen I used for the bear, a white gel pen and a black pencil. The white pen really helped to just lift everything, because it was much whiter than the paper it is drawn on. For example, I had drawn in the eyes, but once I added two dots of white at each corner of them, they suddenly came to life and looked almost like glass. As I had learned from the doing the bear, social media is a great tool to help get people interested in what you are doing. So again I documented each stage of my drawing on Facebook, Twitter and Instagram to try and reach as many people as possible. It was great to hear people’s feedback. I also tried something new this time, I created a video of me working, which was to show why it takes so long to complete a drawing such as this. I feel people may have not originally appreciated what an obsessive, painstaking effort it is until this video. Even though the film was only 20sec long, it was still enough to show that I was literally drawing in every single hair and whisker individually. I think maybe this wasn’t coming across before in the photos, and people seemed to be interested in this video because they could see how it was done. This film was by far the most successful thing I had every done on social media. On Facebook, it was being viewed and shared over and over again, reaching 32,000 eventually.Therefore I have decided this is a very important avenue to go down, so I next wish to learn how to create better more professional videos of me working. 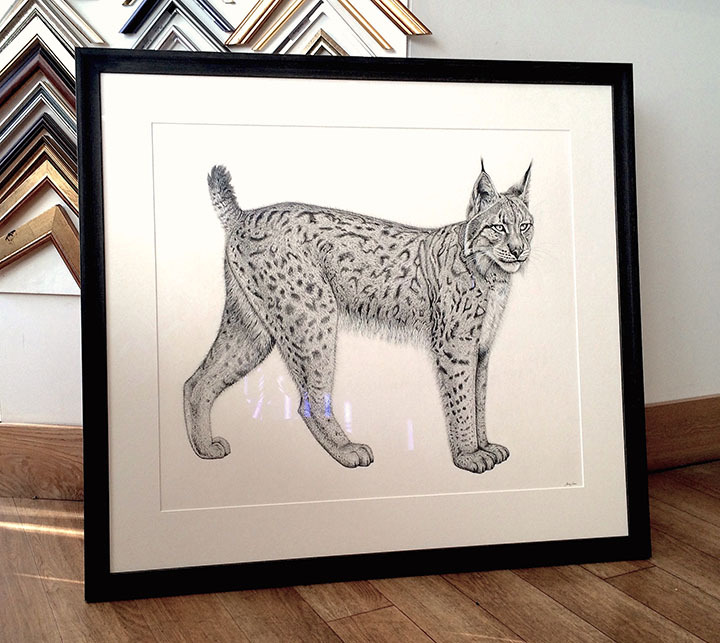 After 54 hours of drawing, I finished the lynx and next took it to the workshop (HMC Framing) where I framed it. The frame I used was a painted char-coal tone, with a brushed effect of lighter grey lines. I thought it echoed the detail and tone of the drawing. The mount board was exactly the same colour as the paper. I thought this would draw the eye directly to the image, rather than detracting from it, which I thought a coloured or a different shade mount would do. Because the artwork is so large, I secured a piece of foam board to the inside of the backing, to support the artwork and to stop it from sagging. I also used a type of glass that is anti- reflective, crystal clear and protects from U.V damage. The next drawing in the UK extinction series, will be of a Great Auk, it was a bird that lived in the North Atlantic, including the coasts of Great Britain. 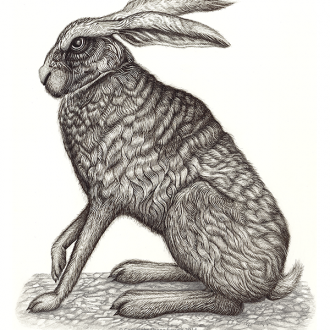 It once had a population of 1000s, but was hunted extensively from the 1500s for its down and meat. The rarer it became, the more desirable and expensive its specimens became to collectors and museums. On July 3rd, 1844 the last two were killed by sailers, after they had been requested by a merchant to collect their specimens. This pair of Great Auk’s were incubating an egg, which was crushed under a sailors boot, therefore destroying any last attempt to save the species. Another sad tale of the loss of a species? I know :-(. Thank you for reading it and leaving a comment. Beautiful if bittersweet. I hope we see a reintroduction in our lifetime. Thanks, Keri I really appreciate you read my post about the UK lynx. Yes it would be lovely to see a reintroduction of them.